Geo-redirection tool is a must-have for everyone who is dealing with international traffic. This tool will help you redirect your visitors to specific offers that are available in their countries based on IP geo-location, so you won't waste any traffic. 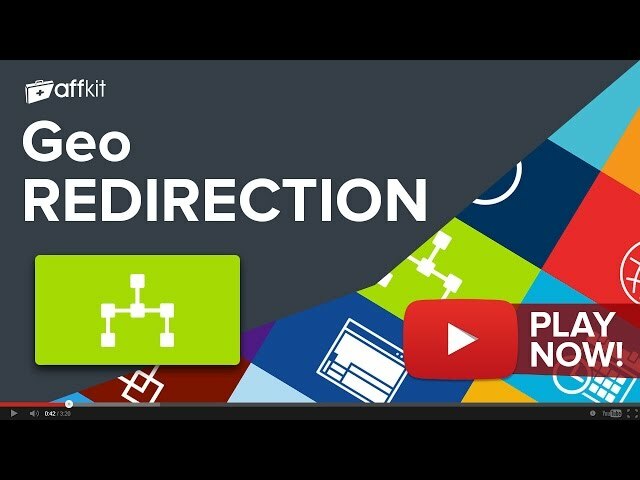 Geo redirection comes free with your AffKit membership. Sign up now to have full access to Geo redirection and another 20 must use tools. If you're already a member you can Log in now or Sign Up to get access.